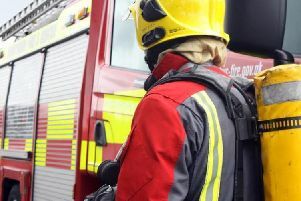 Firefighters who rescued two cows from a ditch this morning were called out to another farmyard-related incident. This time a cow in Longshaw had raised the steaks by falling with its legs either side of a bridge, trapping itself. Crews from Matlock and Bradwell along with a specialist animal rescue team released the cow which was left in the care of its owner.